Every weekday afternoon, Delia’s Mediterranean Grill & Brick Oven Pizza offers happy hour specials on a selection of its fine wines, craft beers, and signature cocktails. Warm up with the Spice Boy, a blend of Jose Cuervo, honeydew jalapeno shrub, fresh cucumber juice, and a splash of sparkling water. Stick around after happy hour to savor some of Delia’s Mediterranean fare, starting with the house-made hummus or "pizza knuckles," which are essentially cheesy pizza rolls. 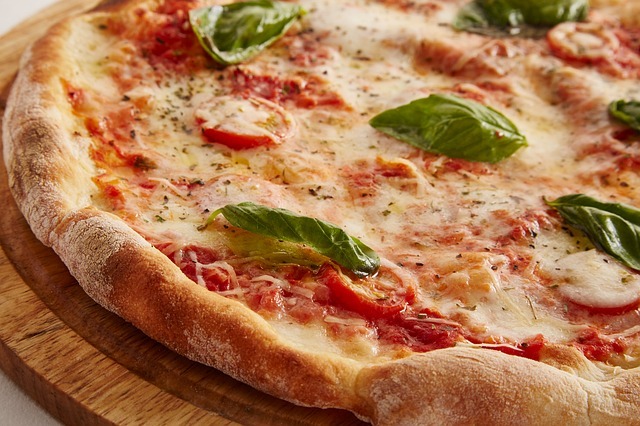 Then enjoy a plate piled high with house-made pasta or try one of the specialty pizzas hot from the brick oven. For instance, the prosciutto white pie features a layer of ricotta cheese topped with pine nuts, fresh microgreens, high-quality prosciutto, and a fig-balsamic drizzle. Delia’s also offers a list of entrees that are heavy on the seafood and lean meats.